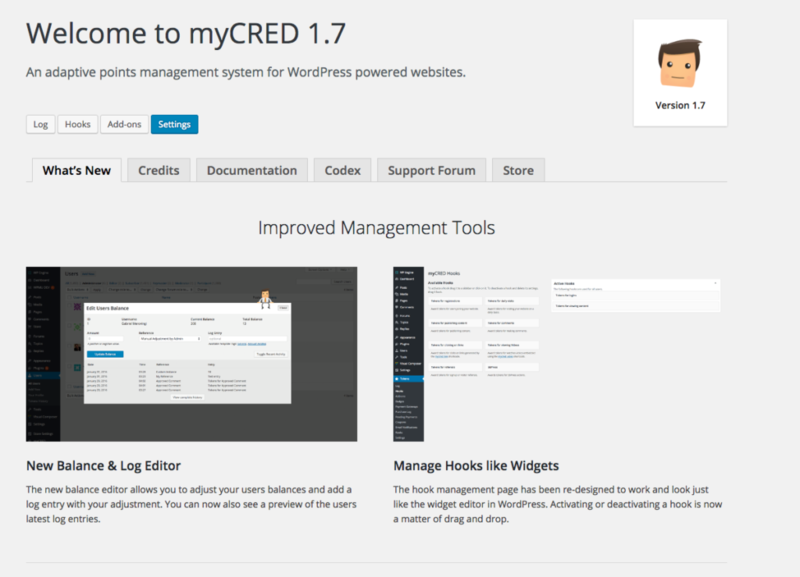 Before we begin, it is important that you make sure your WordPress installation meats the minimum requirements in order to use myCRED. Your web server must run PHP 5.3 or higher and your WordPress version must be 4.0 or higher as of version 1.7. Installing myCRED from your wp-admin area. 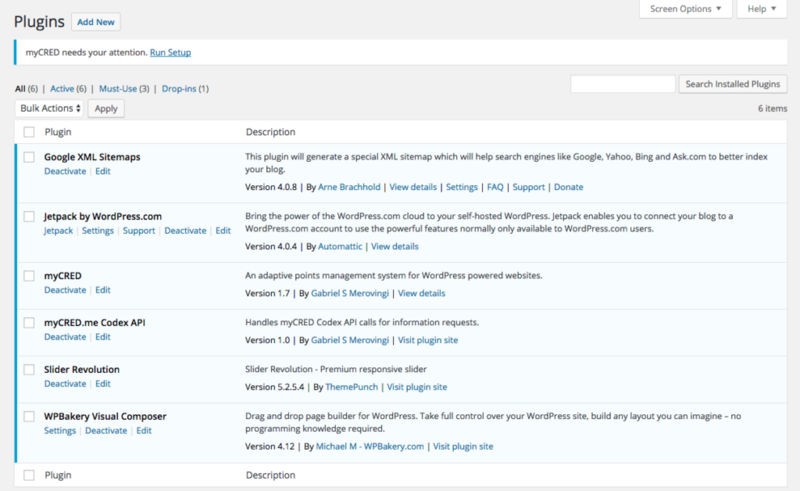 Go to the Plugins > Add New page in your wp-admin area and in the search field enter “mycred”. Make sure you choose the myCRED plugin with the token icon and the author being “Gabriel S Merovingi”. Click on the “Install Now” button in the top right corner. Once installed, it’s time to activate the plugin. The first time you activate the plugin, you will see a notice asking you to run the Setup. This setup needs to be run only the first time you activate the plugin and is required in order to create your first point type and install the log database. The first time setup warning. Setting up your first point type. Finally we need to create our first point type. This will also install the log database based on your point type format. This involves what points are called, how they are presented and the capabilities used to identify administrators. If you plan on installing multiple point types and they all need to use different decimal places, remember that your default point type needs to be set to use the highest number of decimal places. Once you have run the first setup, it is time for you to activate the features you are looking to use in myCRED. You can access myCRED via the custom menu item added in your wp-admin area. 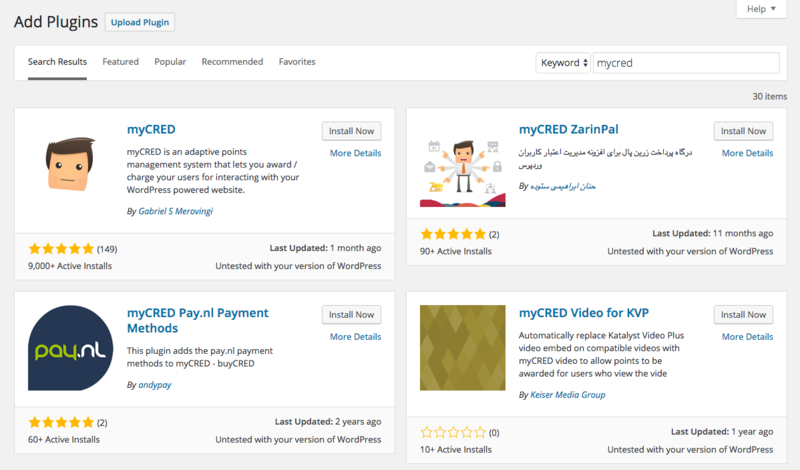 If you prefer you can download a fresh copy of myCRED from the WordPress repository, unzip the downloaded file and upload it to your wp-content/plugins/ folder. From there, you can go to step 2 above.